[Guest Post by Samrat P]There are numerous video file formats that we come across daily. 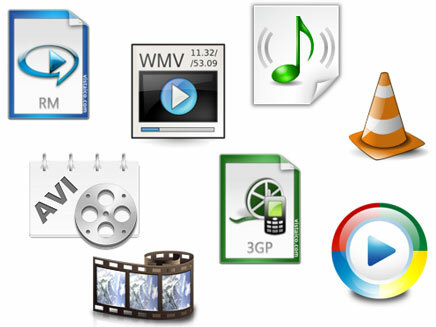 There are some common formats like 3GP, AVI, MPEG, RM and WMV. Besides these common file formats, there are many formats which might confuse you. It would be good if we know atleast some of the common video formats and software applications which can be used to open them. Currently I use Windows Media Player and VLC Player to play most of the video files present in my computer. Below are some of the video file formats that you might come across. We shall see what exactly are those formats and how to open them. 3GP file format is developed by the 3rd Generation Partnership Project. 3GPP and 3GPP2 are the standards used for creation, delivery and playback of multimedia over 3G high-speed wireless networks. This file format is commonly used by mobile phones that support video capture. 3GP is based on the MPEG-4 standard which was derived from Apple’s QuickTime format. You can use VLC media player to play 3GP files. ASf or Advanced Systems Format File is developed for Microsoft. This format is used for streaming multimedia files which contains text, graphics, sound, video and animation. ASF file are mostly Windows Media Audio and Windows Media video files. ASF file just specifies the structure of the audio or video stream but not the encoding method. Microsoft Windows Media Playercan be used to play .asf files. AVI file format is developed by Microsoft and stores data that can be encoded in a number of different codecs. You can use codecs like DivX to encode AVI files. AVI files can be played on multiple players like VLC, Windows Media Playerand the player should support the codec in which the file was encoded. MPEG-4 file format is a standard developed by the Moving Picture Experts Group which is used in many mobiles and video players(MP4 Players) these days. The MPEG-4 video format uses a separate compression for audio and video tracks. The video is compressed with MPEG-4 video encoding and the audio is compressed using AAC compression. You can play MP4 files using VLC media player. Real Media is a file format developed by RealNetworks. Real Media contains both video(RealVideo) and audio(RealAudio) information and is usually used for streaming media files over the internet. rm files can be played using the RealPlayer. VOB file type is mainly associated with ‘DVD Video Movie File’. A Video Object usually contains several streams multiplexed together: Video, Audio and Subtitles. You can use VLC media player to play VOB files. Windows Media Video is one of the major video file format that you encounter everyday. The Windows Media file contains video encoded with Windows Media Video codec and audio encoded with Windows Media Audio codec. You can use Microsoft Windows Media Playerto play .wmv files. Samrat P writes a blog TechHail about technology, gadgets, online tips, how to: like Google Webmaster Guidelines for linking. You can follow him on Twiter (twitter.com/samrat_p). You can also share your tips, tricks, expertise and write Guest article on Techno Life @ tothepc. Watch videos from India on Tubaah, hulu indian style? How to embed Youtube Videos in Widescreen format ?